Summer is here, and so are the mosquitoes. How many of them are carrying the Zika virus? That's hard to tell. The Aedes aegypti and Aedes albopictus mosquitoes are most likely to carry the virus. But first, those mosquitoes in the United States must bite someone who has the virus. After that, they can spread the virus among the people they bite. According to the Centers for Disease Control and Prevention (CDC), both mosquitoes are found in the southern U.S., but the Aedes albopictus' range extends as far north as southern Minnesota. Of the two breeds of mosquitoes, the CDC says the Aedes aegypti is more likely to spread the virus. Back in February, Richard Duhrkopf, associate professor of biology in Baylor’s College of Arts & Sciences, and considered a national expert on mosquitoes, warned that the virus was certain to appear in the U.S. in greater numbers over the summer. For most people, he said, its effects are not serious. They are very serious, however, for pregnant women since the virus is linked to microcephaly, a serious birth defect. Because the effects are not serious for most people, it's hard to even know that you have it. The CDC says sometimes there are not any symptoms. When symptoms do appear, they are usually mild. Symptoms may include fever, a rash, joint pain, and red eyes. Some people will experience muscle pain and headaches. The symptoms don't usually last very long – a few days to a week. The symptoms, in fact, are very similar to other diseases spread by mosquitoes, such as dengue and chikungunya. The only way to be really sure is to be tested. A blood or urine test can confirm whether someone has the virus. The biggest danger of someone getting the Zika virus is the possibility of them spreading it. They can spread the virus through a mosquito bite, but also through sexual contact. The CDC suggests people who have been exposed to Zika, either through sexual contact or travel to a Latin American country where the disease is prevalent, see a medical provider for testing. A pregnant woman who may have been exposed to the virus should be tested if either she or her male partner develops symptoms. 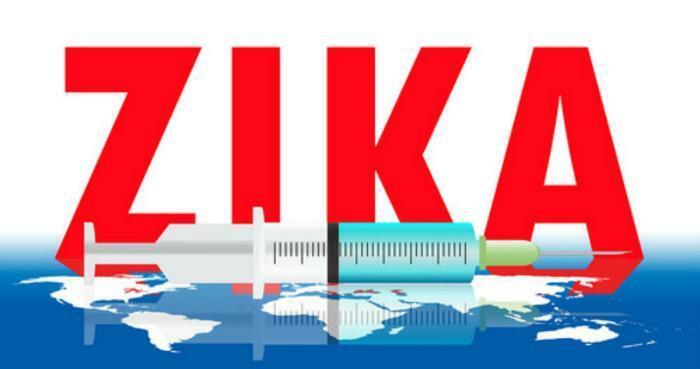 But the health agency cautions that the tests that are currently available are not completely reliable in determining a man's risk of passing Zika to a sexual partner.